After a loved one has passed away, there are many decisions to be made. Not the least of these is how to deal with the remains in a respectful manner. While in many cases the deceased may have expressly made their wishes known, there are certainly situations where the bereaved family has to decide how to proceed; should you go with cremation or burial? The answer may not come easily, but considering the points below may just lead you to the choice that is right for you. Cost is frequently a big concern for a family dealing with a loss. Funerals can be a significant financial burden and there is no question that cremation offers a sizable cut in price. While cremation can cost anywhere between $1,500 to $3,000, some burials can cost more than $10,000. It may be that you have a special way in which you would like to remember your loved one; maybe this is not embodied with a visitation to a gravesite. Nowadays there are a variety of ways in which a deceased person may be memorialized and cremation offers an easy way to make this happen. Ashes may be sprinkled at particularly special spot, mixed in with seeds to grow a tree or even made a fixture in the family home. 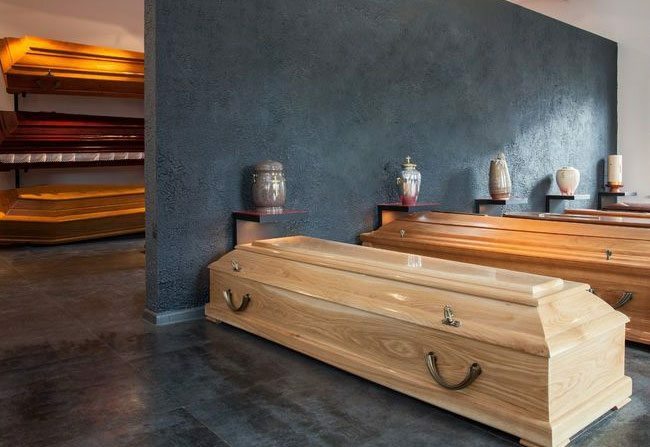 If a loved one is buried, his or her remains are forever interred in a particular place. With families so frequently living spread out across the country or even the world, this may not be the ideal situation. Additionally, a burial site does not typically have much meaning to either the deceased or their family. Cremation allows the family to decide how their loved one is remembered and also where their remains will rest—offering the best possibility for family members and friends to visit and reconnect with the one they’ve lost. The power of ceremony should not be discounted. Saying goodbye to a body may offer more meaning than doing the same to an urn of ashes. For some, the last act of seeing their loved one descend into their eternal rest is significant and offers a great deal of closure that cremation may not be able to match. Most people would be surprised to hear that a burial can actually be far more environmentally friendly than cremation; this is because a great deal of energy and fossil fuels are expended when cremating. Burial on the other hand has the potential to be the most natural way to return a body to its natural state. Although embalming fluids and metal caskets present a challenge to natural decomposition, there are now greener alternatives, such as biodegradable containers and replacement oils that can ensure that your loved one returns to the earth safely and naturally. In many religions, cremation is either forbidden or not recommended. Even if you or your family do not share this belief, it would be important to consider whether your loved one may have held similar concerns. It is important to note that regardless of which process you choose, the opportunity for saying goodbye, in the form of memorial services or family gatherings, remains the same. Take the time to think the time to think through your and your family’s wishes and concerns before making an informed decision with which you can feel at peace. This same question is one that my aunt discussed with her husband about. Since she’s one advanced in her age, everybody saw that she would soon have to pass away. Because of this issue she had an idea about having her husband spread her ashes at her funeral. I’ve never thought about what would happen to me when I die. I really started to think about it last night when I read this article, and I’m still indecisive about what I’d choose. Dying is kind of a scary subject, no one really knows when or how they will die until it happens.